Manu Cornet, a Googler and cartoonist, drew the picture above on November 30, a representation of the evolution of Android. The drawing starts with Cupcake, moves onto Donut then Eclair, Froyo, Gingerbread, Honeycomb, Ice Cream Sandwich,and Jelly Bean. It’s cute, right? Check out the last drawing. 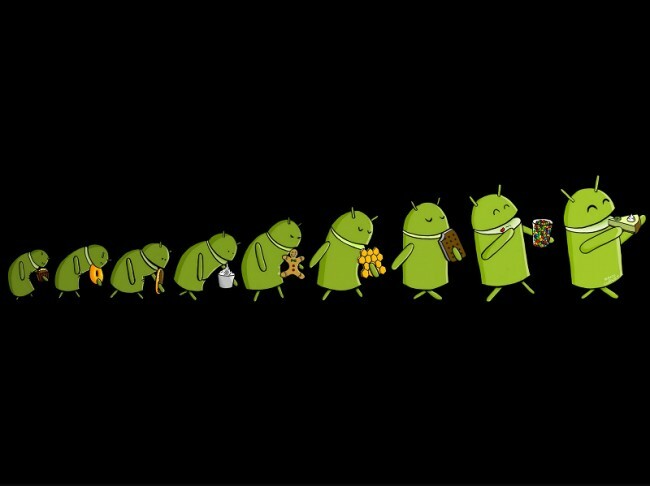 That looks to me like Bugdroid eating a slice of Key Lime Pie, the oft-rumored name of the next version of Android. Is this a confirmation of the name? Might be. Might not be, either. But since it’s from a Google employee, we certainly thought it was worth sharing.